These skinny jeans went from $129 to $50.90, so yes — I am now the proud owner of a brand new pair of jeans. I am sweating. Why am I sweating? 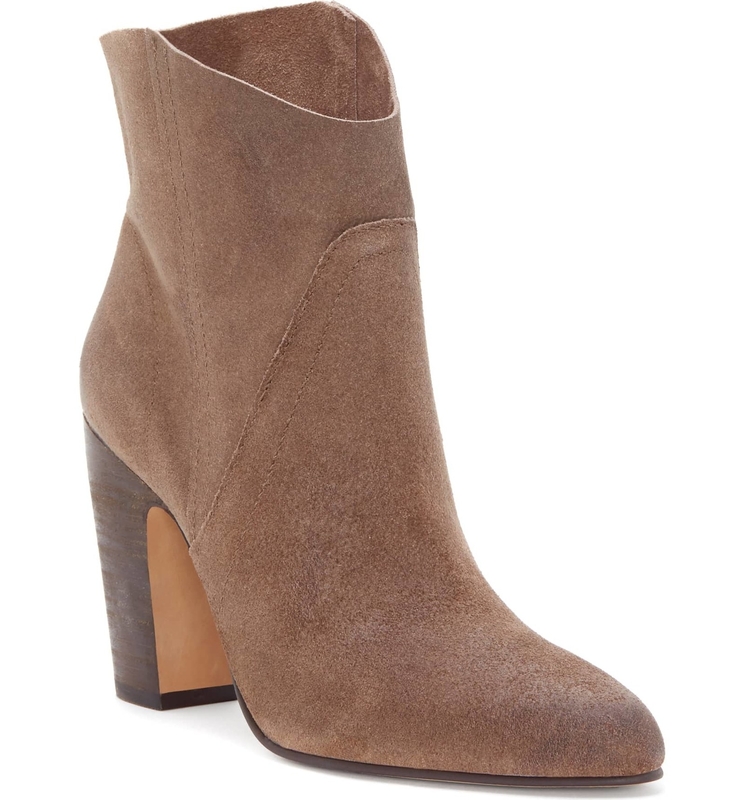 Because the Nordstrom Cyber Monday sale is here — and the savings are up to 60% off, baby. We're talking jeans that were once $129 are now $50! 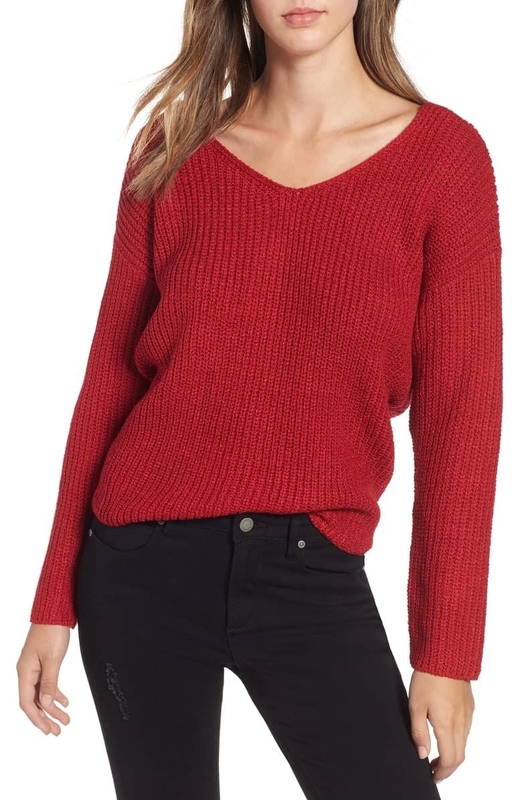 Sweaters that were once $39 are now $15! I could go on and on about all the deeply-discounted treats that the site has to offer. So guess what? I WILL! 2. 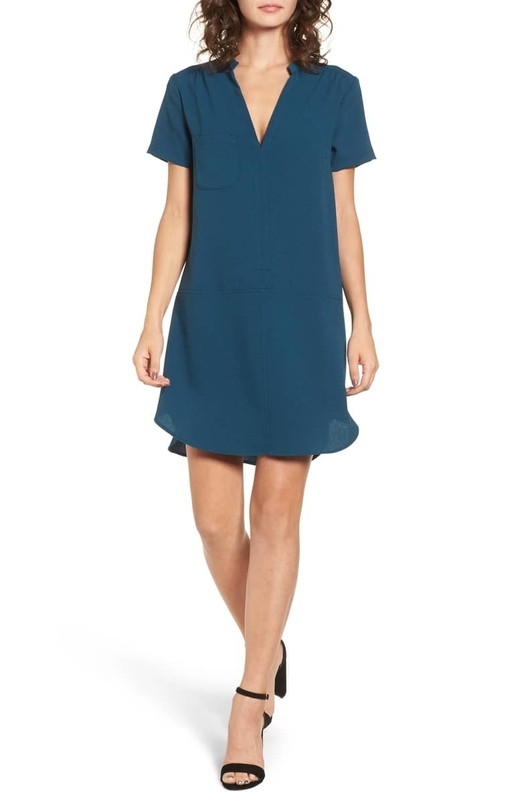 A split-neck shift dress that can be worn with flats for a more casual look OR with heels for a fancier event. World, say hello to your new favorite dress! 3. 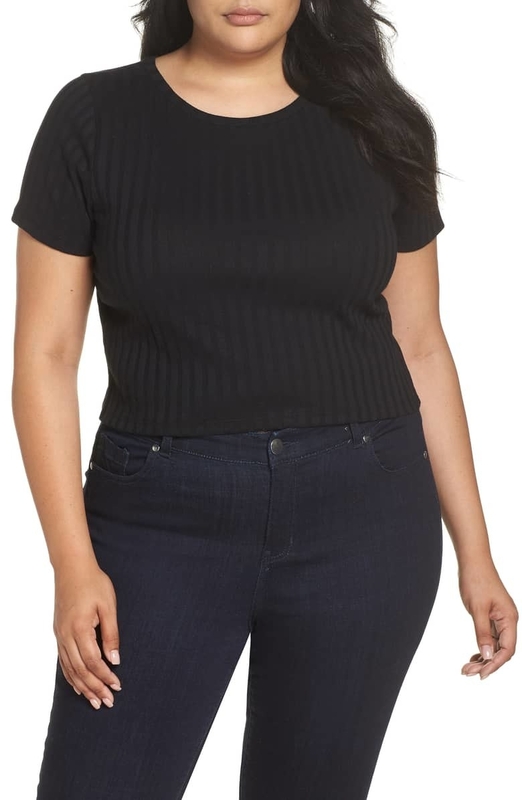 A cotton turtleneck top you can layer under a blazer or wear by itself! World, meet the perfect basic piece. 4. Mid-rise skinny jeans guaranteed to become your new favorite pair of denim. They have shaping technology that will have you staring at the mirror thinking, damn I look good. Psst, pro tip! Order these jeans in a size down for the perfect fit. 5. 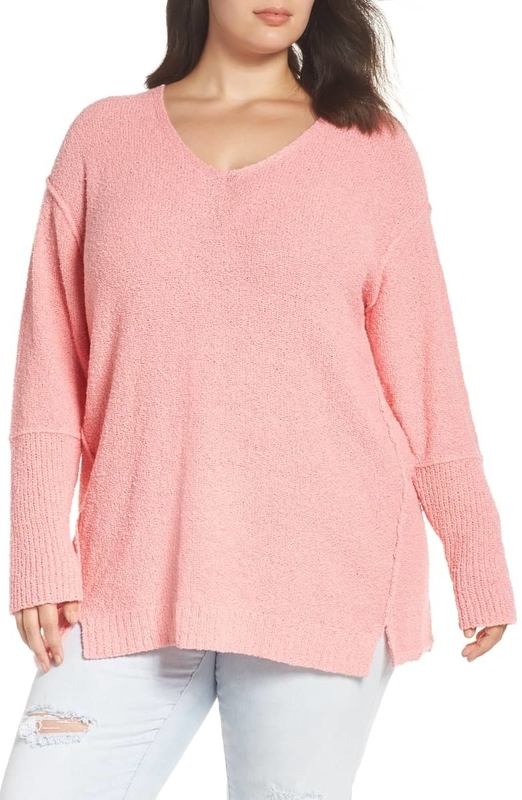 A funnel neck top that I sincerely feel bad for. This pretty little thing will get no days off — you'll want to wear it constantly. 6. 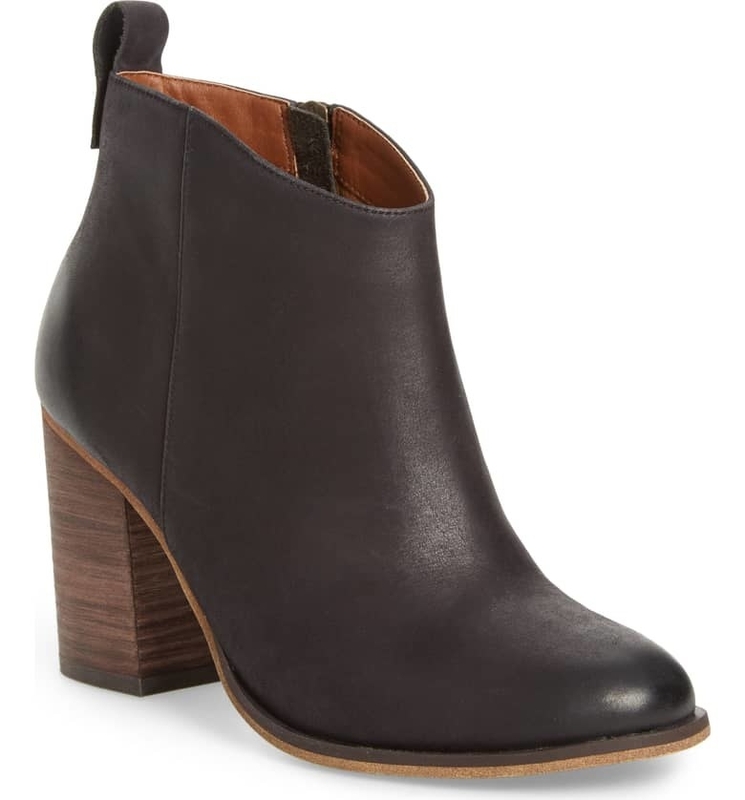 Leather booties that can be worn with any darn outfit in your closet. These pretty little things are unbelievably versatile. 7. 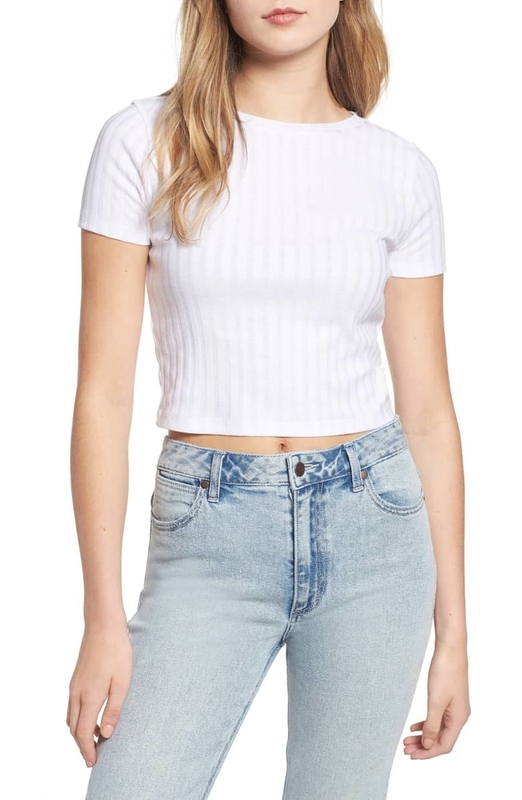 A slightly-cropped ribbed tee so inexpensive, it would be a true tragedy if I didn't purchase it for myself. Right? RIGHT!? 8. 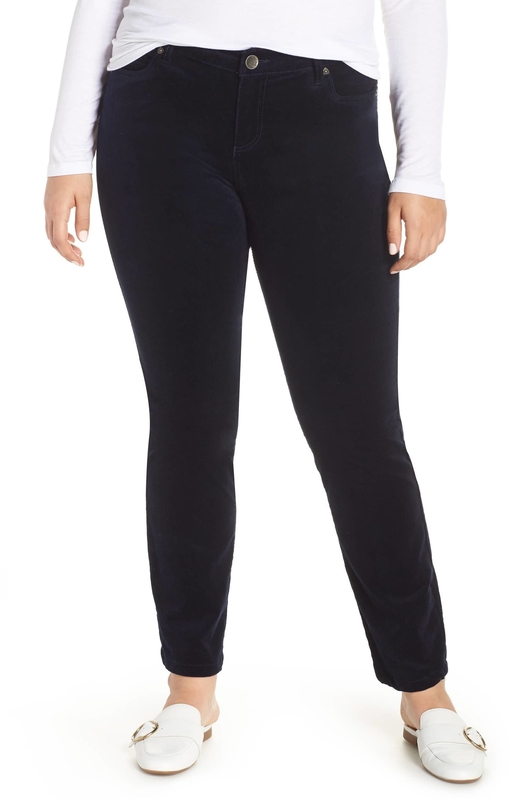 Mid-rise skinny jeans made from a stretchy material that won't feel like a constrictive torture device for your legs. Comfort above all else = my motto. 9. 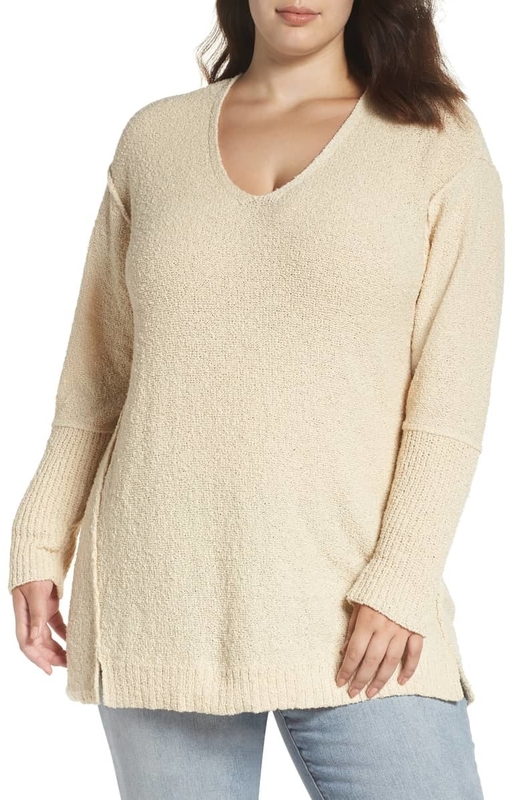 A tunic sweater perfect for lounging around the house (the best), running errands (to Target it's not so bad), or going out at night (the worst). 10. A lightweight v-neck sweater you will wear every darn day. Surprise! You now live in this. I hope you two have a happy, healthy life together. 11. 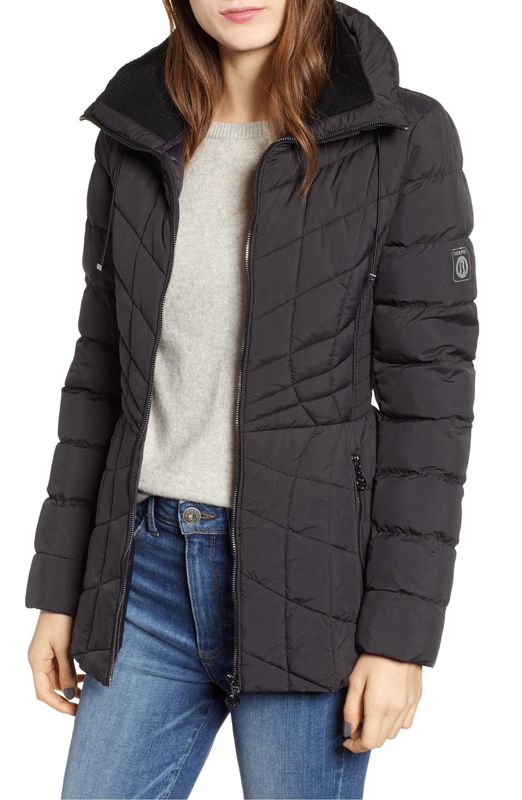 A lightweight puffer coat made with PrimaLoft, a magical material that provides ultimate warmth and insulation without weighing a million pounds. 12. 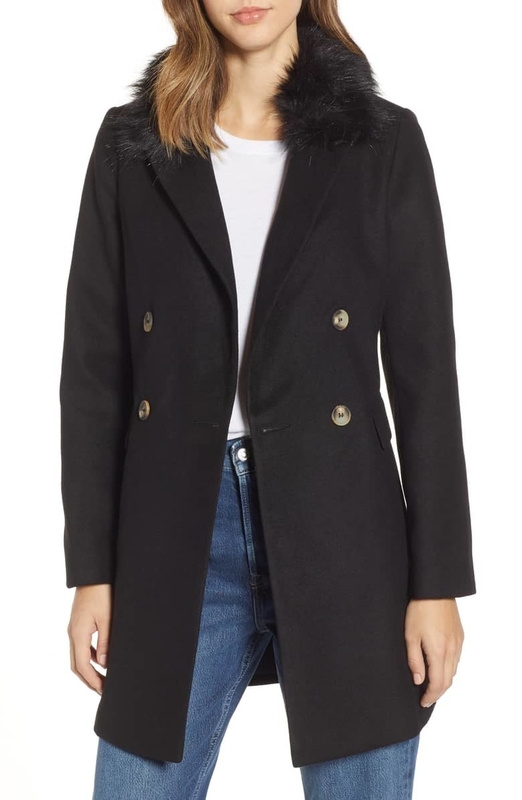 An oversized midi coat because cold weather is HERE, and it's time to stock up on a jacket that will will be both warm and stylish. 13. 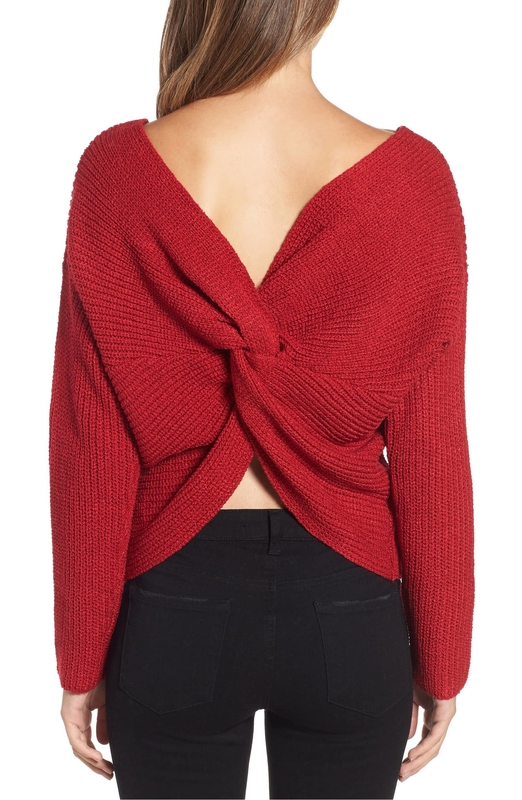 A twist back sweater available in a gorgeous lipstick red color for a vibrant pop of color. Hate red? FINE! This is available in four other lovely colors. 14. A leather satchel guaranteed to become a vital part of your daily wardrobe. Leaving the house without flaunting this gorgeous, functional purse? Nope. Not an option. 15. 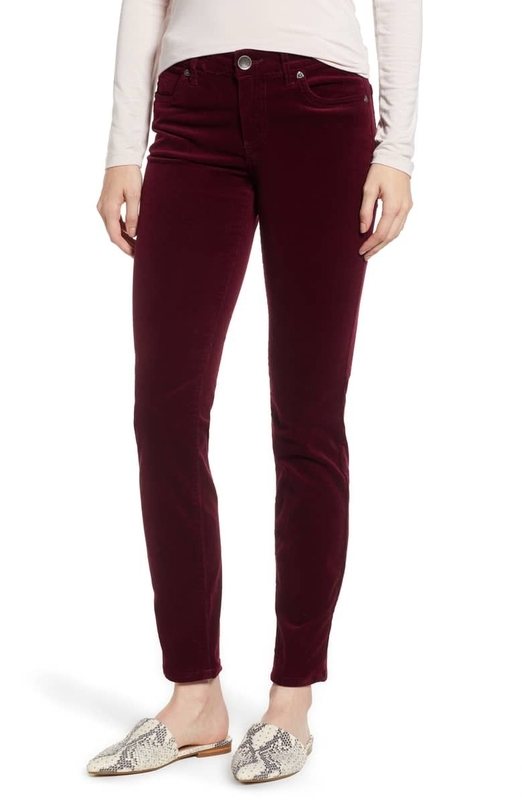 Mid-rise skinny jeans made from a gorgeous corduroy material for when you need a break from denim. 16. Ankle strap pumps that will add a super sophisticated touch to that old denim and band tee combo you're currently wearing. 17. 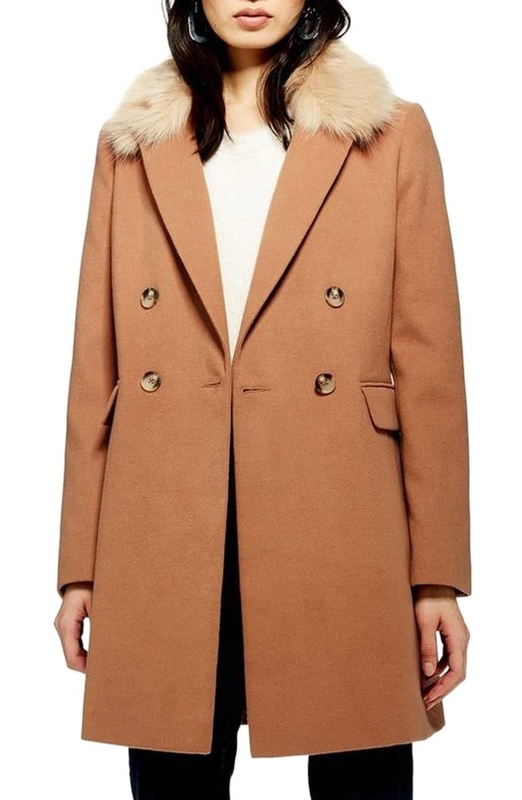 A faux fur collar coat everyone will be jealous of. 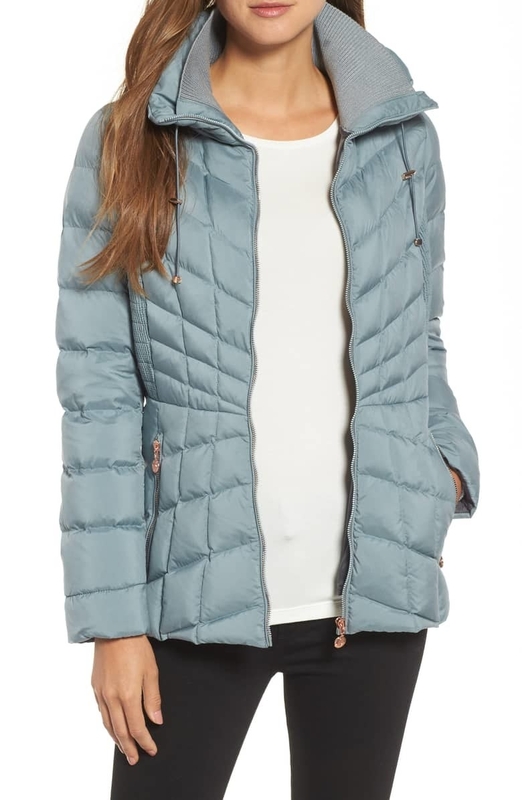 Get ready to turn heads, folks, because this gorgeous jacket is a wearable piece of art. 18. A notch-collar blazer best paired with a hot cup of coffee and some AP English literature. This is probably the ~smartest~ item of clothing you'll ever wear. 19. 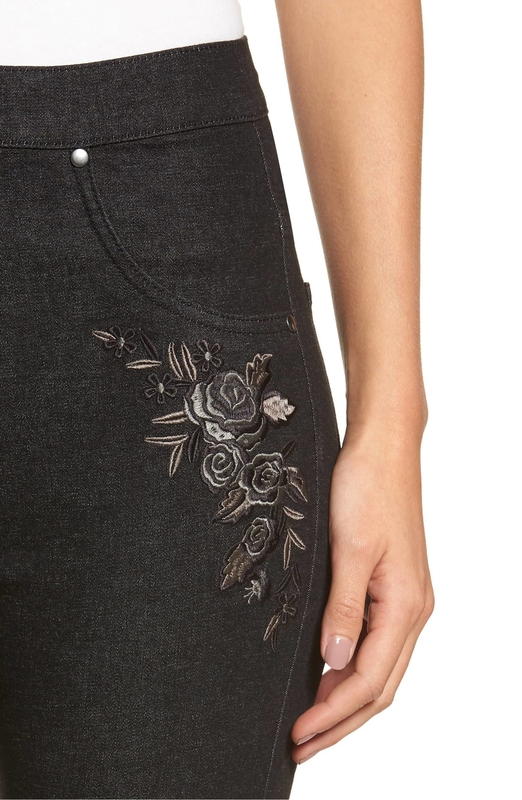 Cropped denim leggings featuring floral embroidery that you don't need to have a green thumb in order to wear. 20. A canvas backpack you'll want to bring along on your next travel adventure. Not only does it look adorable, but it can fit an elephant ton of stuff inside. 21. 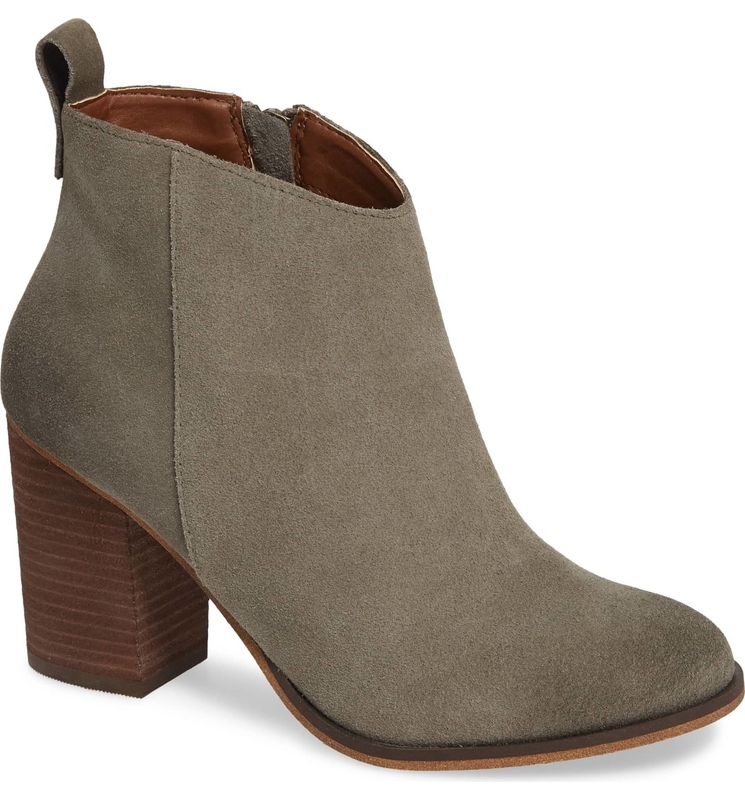 Western-inspired suede booties to make that jeans and sweater combo look like the TRENDIEST darn thing on earth! 22. A wide-leg jumpsuit to remind you that spring and summer and warm weather and happiness will be back SOON. I promise. 23. 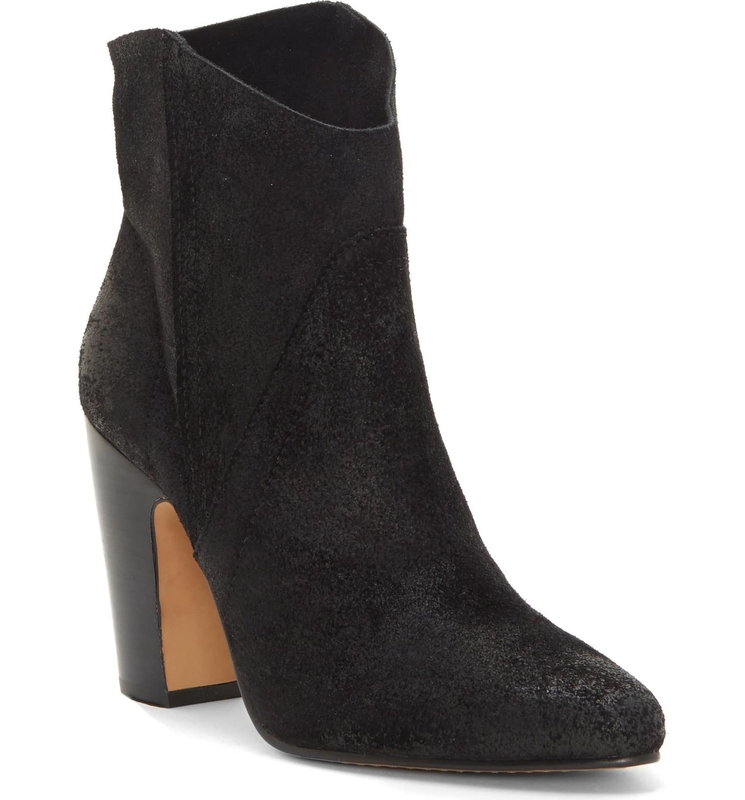 Black booties with a shock-absorbing heel AKA these boots genuinely are made for walking — and walking comfortably. 24. 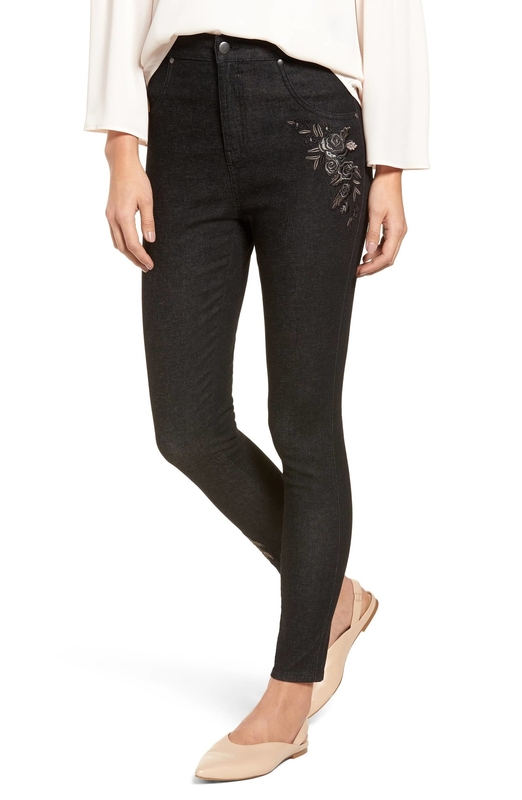 High-waisted ankle jeans adorned with stars for anyone who wants to add a little extra ~oomph~ to their denim. 25. Slit hem ankle leggings polished enough to be considered office-appropriate attire. Just add a tunic and a blazer and you'll be all set, kiddo! IF YOU'RE LIKE DEPECHE MODE AND JUST CAN'T GET ENOUGH, check out the rest of the Nordstrom Cyber Monday sale! Want even more Cyber Monday deals? Check out the posts below!